Grab your knitting and a friend and join us for the Oct Knitting Guild meeting! 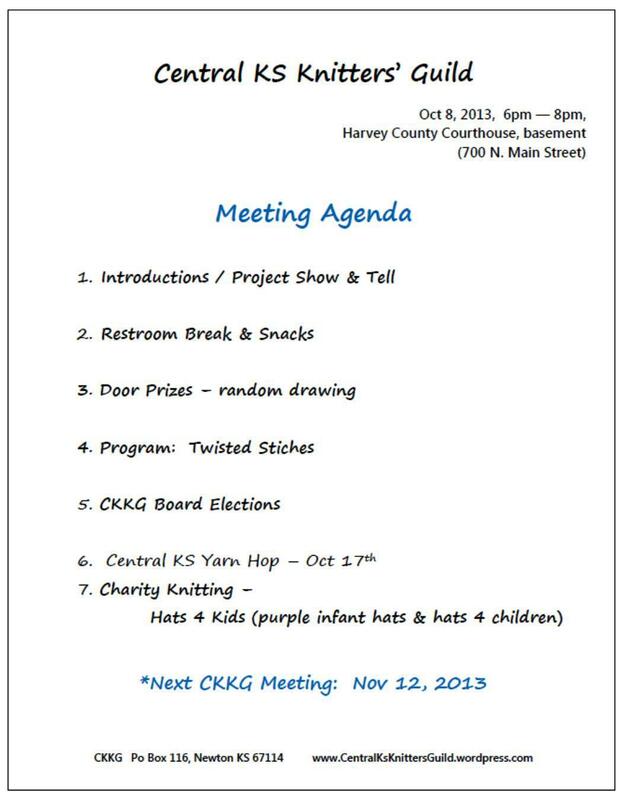 Tuesday, Oct 8th from 6-8pm at the Harvey County Courthouse (Newton, Main & 7th streets). *Check our Ravelry page for more information and carpool details. We have an exciting agenda, including a program on Twisted Stitches! Please bring a pair of needles and appropriate yarn for the program. You may also want to bring a cable needle (if you have one). We will also be announcing our new Board members! Previous Previous post: Sept Meeting Recap! Next Next post: Oct Meeting Recap…Finally!